Everything is bigger in America. Pizzas are like satellite dishes, you could drown Big Gulp cups; roads are bigger, car parks are bigger. And yes, cars are bigger. Like goldfish, they seem to have grown to suit the bowl. 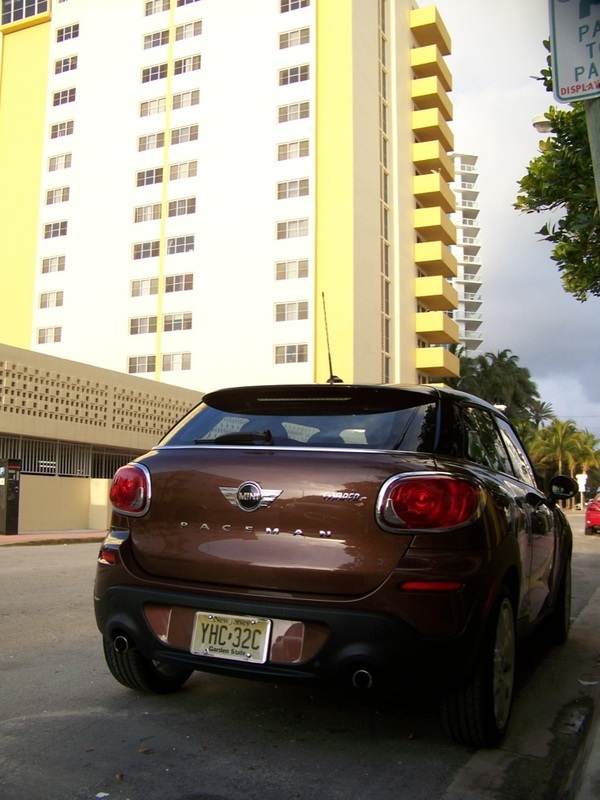 The Mini Countryman and Paceman seem huge in the UK, but on the road in Florida, our Mini Paceman felt positively petite. I believe that’s what these supersized Minis are about. Yes, Minis and Fiat 500s are doing well in US cities, but in Michigan, surrounded by vast Chevy Suburbans, I can imagine I’d feel pretty vulnerable in the standard Mini. The Countryman is like a mini SUV; its non-identical twin, the new Paceman, is a four-seater coupe with two doors and a lower roofline. It looks more svelte and sculpted than its brother, but with the same added load space and the sense that trucks can see you on the freeway. The basic price is $26,800, but the price of our car was boosted to $38,100 by a list of desirable options. The Brilliant Copper metallic paint added $500, the HotCross Carbon black interior finish another $1,000 and the 19in alloy wheels with run-flat tyres $1,750. As this was a New Jersey car, it had the Cold Weather package, consisting of Power folding mirrors, Heated mirrors and washer jets and heated front seats. Needless to say, we didn’t use those, but we enjoyed the dual-pane panoramic sunroof, and really appreciated the air-con with air filtration that both comes with the Premium Package 2, along with with rain-sensing wipers and automatic headlamps for $1, 250. 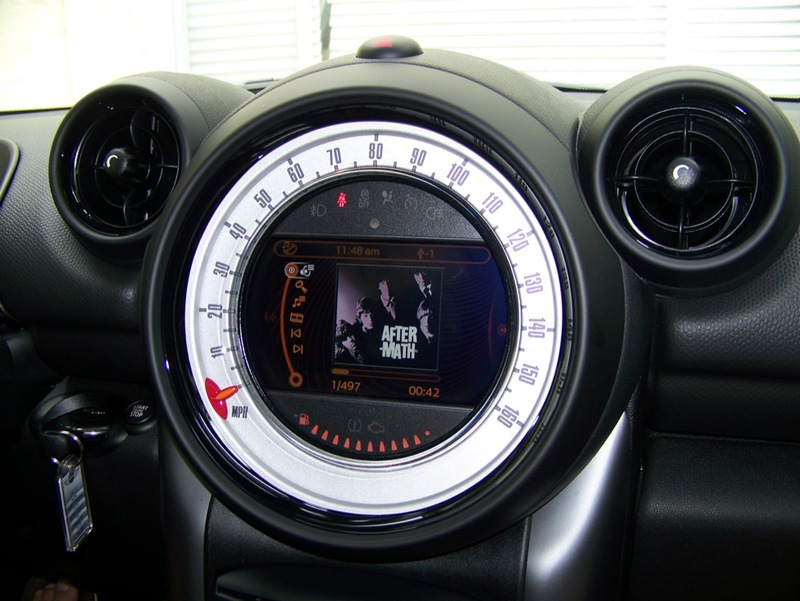 The Mini Connected with Nav Pack option at $1,250, allowed us to select a satellite radio station or listen to our own music via the iPhone. The nav system, worked well once the destination was selected. Its databanks didn’t include some major points of interest, though, including the Gardens Mall and the John D MacArthur State Park. In some ways, the interior was very like our own normal-sized Mini One D. It was strange getting out of our car at Heathrow, and a week later sit in something with the same dash and controls not just on the other side, but higher up. 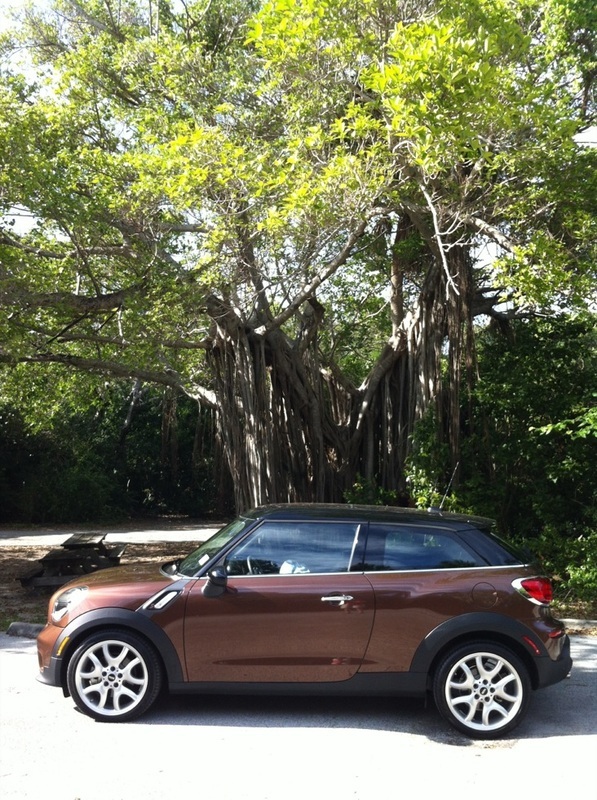 There’s more suspension travel, so it doesn’t feel as glued to the road as our Mini, but on the long, straight Florida roads, the comfort was preferable. This car was a hot Cooper S (1.6-litre supercharged) like our old convertible, but my driving style became naturally more relaxed in an environment with long straight roads and lots of traffic lights. The Steptronic automatic gearbox ($1,250) was a perfect choice for these roads. You can use manual paddles on the steering wheel if you want to take control. I did, and the change is instantaneous, but the automatic is so smooth I let it get on with its job most of the time. The fuel economy is attractive, too, at 25mpg city/32 highway and 28mpg combined. I wasn't sure I was going to like the Paceman. As the song says, I didn't – I loved it. I liked the muscular, sculpted surfaces (which don’t show well on the photos). It was comfortable and easy to drive, whether we were making short hops and parking in small spaces outside shops while vintiquing on the old Dixie Highway, cruising around the Art Deco quarter in Miami, or battling our way through a vicious storm on the way to the airport. The load area was a good size. 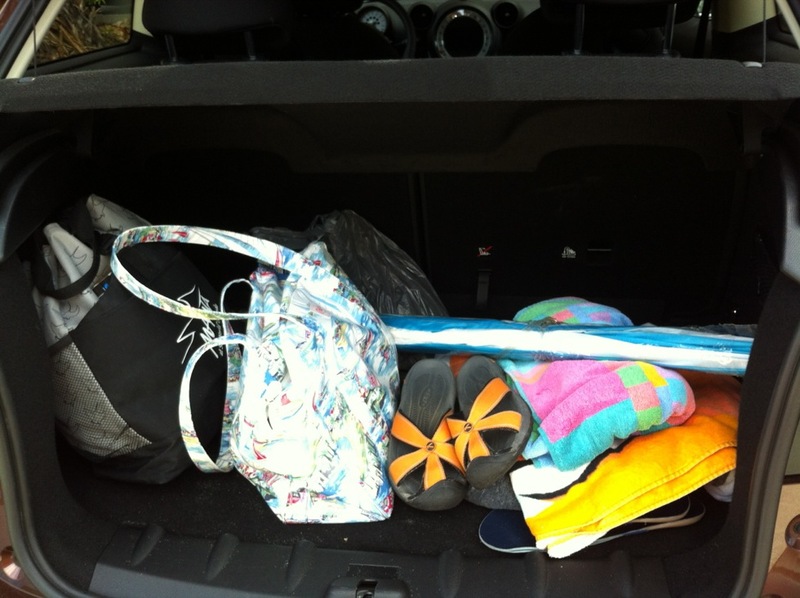 We had to fold the seats to get our bags in the Mini One D – they fitted with room to spare in the Paceman. We would have preferred three seats in the back, rather than just two seats in the rear with cupholders. However, we did give lifts to friends, one being 6ft 2in tall, and after a week of complaining about how cramped it was in the back of their Chrysler 200 Convertible, they were extremely impressed by the space in the rear of the Paceman. They were also seriously impressed by the quality of the interior materials and design. 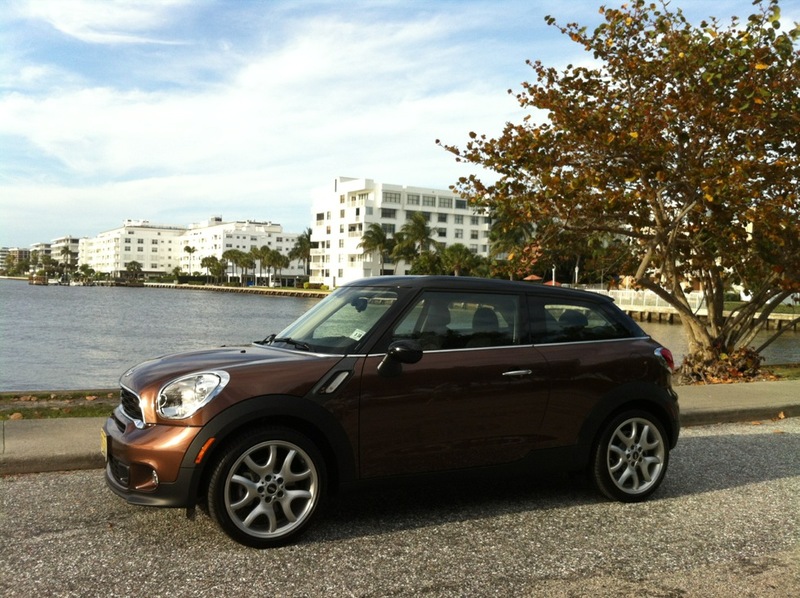 It was good to have them jog my elbow – we Mini owners can take such things for granted.